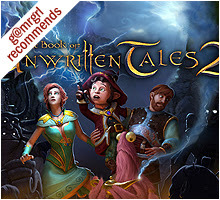 The game asks if you need the tutorial - say YES even if you are an expert of the genre to make sure you get basic game-play correct. 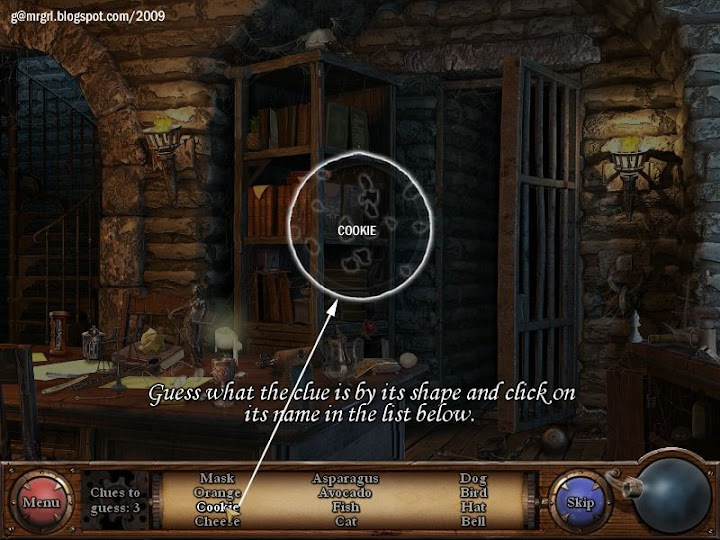 The bottom panel comprises a link to the menu, the number of items still to be found, a key slot, the current 12 items, and the hint button. All listed items have to be located on a screen to proceed. Clicking on an item name shows the silhouette of the item in the sphere at the extreme right of the bottom panel. Items marked in blue in the item list are interactive items. These require other items to be used to find them. To use two objects, click one object, and then the other. Only relevant objects and hotspots are listed in the walkthrough. Random hidden objects are not. Clicking the hint button shows a random hidden object in a circle of light. Hints cannot be collected. The player has to wait till the button refills. 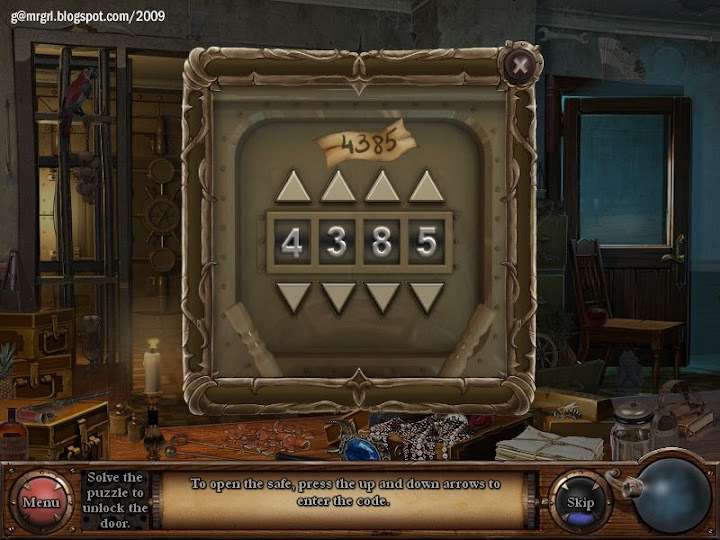 The hint button also allows puzzles to be skipped after a while. 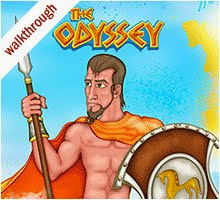 There is no time limit for any activity in the game. 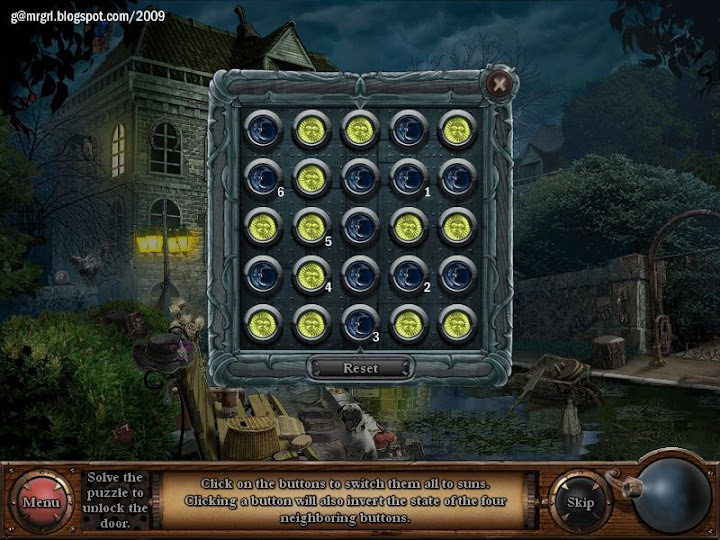 Mini-games can be attempted any number of times. 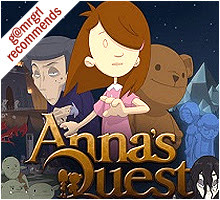 If you need more help, get the Strategy Guide. 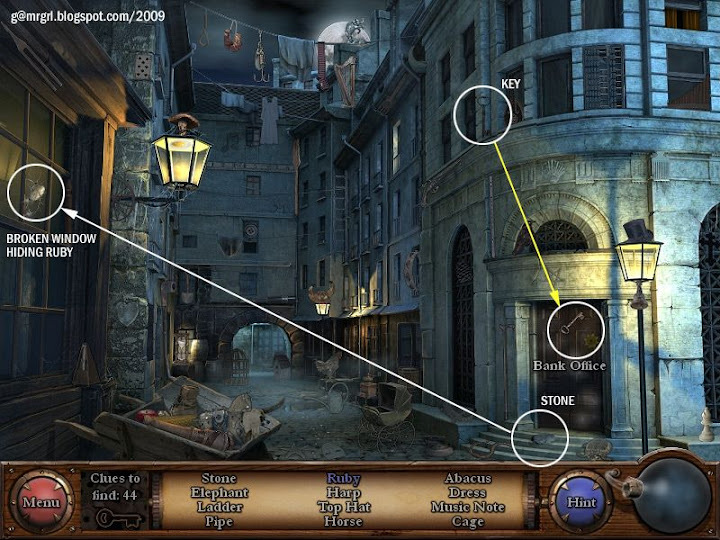 Click here for the screenshot of ALL items required to enter the courtyard. Pick up the lighter as shown. 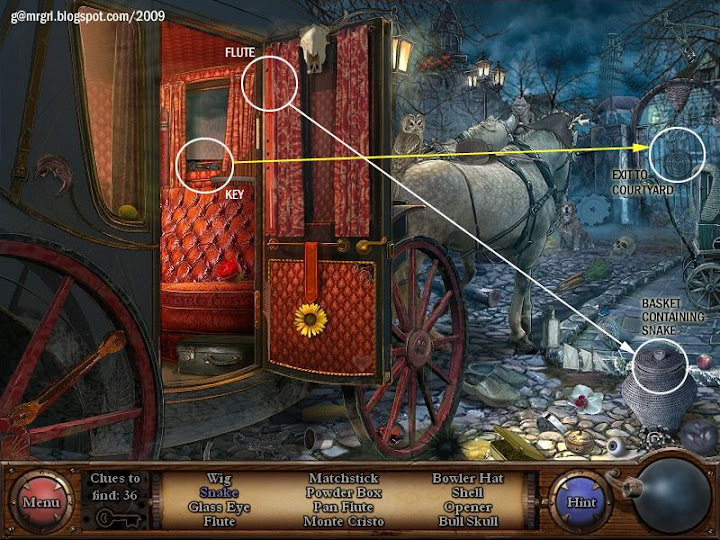 Click the flute on the left side of the stagecoach door. Click the grey basket at bottom right. 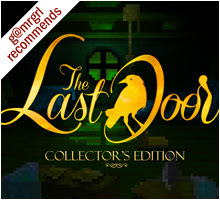 Once all items are found, click the courtyard gate to exit. Click the key below the window inside the stagecoach. Solution: This is a rotating jigsaw puzzle. The painting has 6 circles that have to be aligned by rotating. Click a circle, keep the mouse pressed and turn the mouse to rotate a circle. Each circle snaps into place when it's correctly aligned. Hint: Start with the outermost circle, aligning the branches at the bottom of the painting. 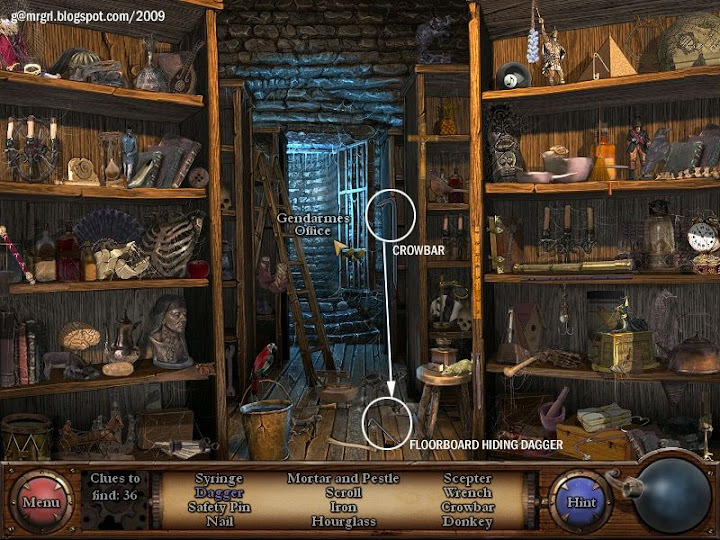 Click here for the screenshot of ALL items required to enter the hall. 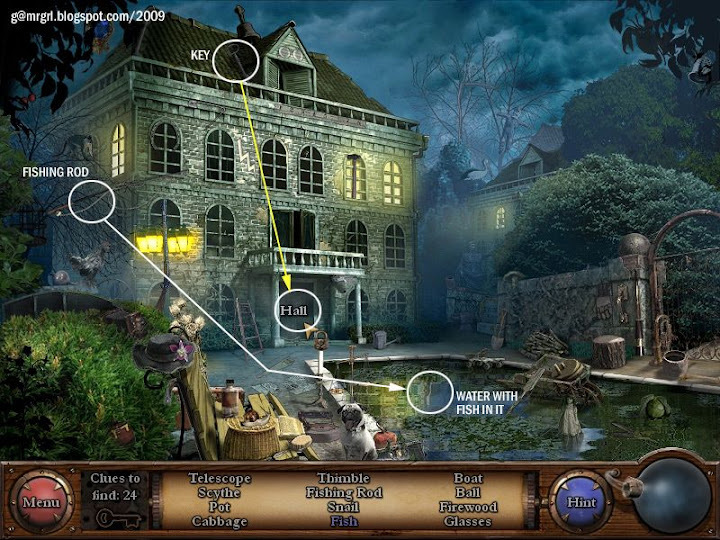 Click the fishing rod among the branches of the tree at middle left. Click the glimmering water in the pool. Click the key on the roof of the mansion, to the left of the attic window. Solution: Clicking one button reverses it, as well as the four buttons surrounding it. 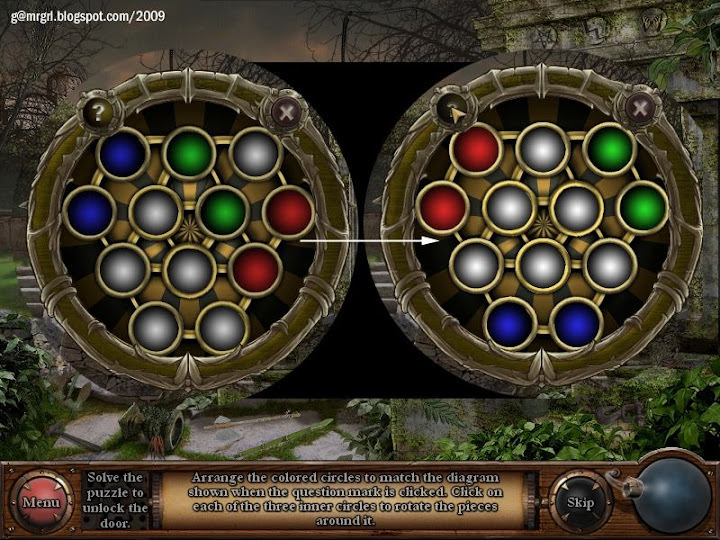 All buttons have to be changed to SUN to solve the puzzle. This puzzle may have multiple solutions. Click here to view my solution. 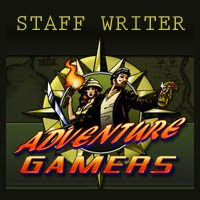 Click here for the screenshot of ALL items required to find the calling card. Click the scissors, near the top right of the middle white pillar. Click the painting on the man on the first floor. Click the calling card of Private Investigator Louis Decart. 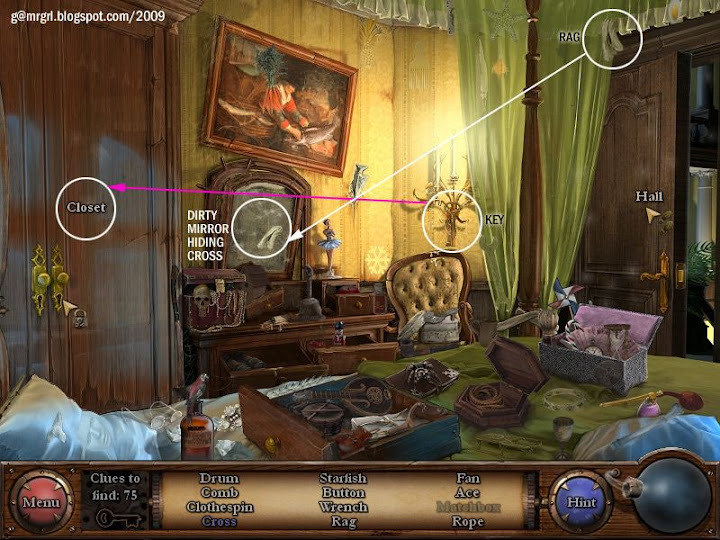 Click here for the screenshot of ALL items required to enter the bedroom. 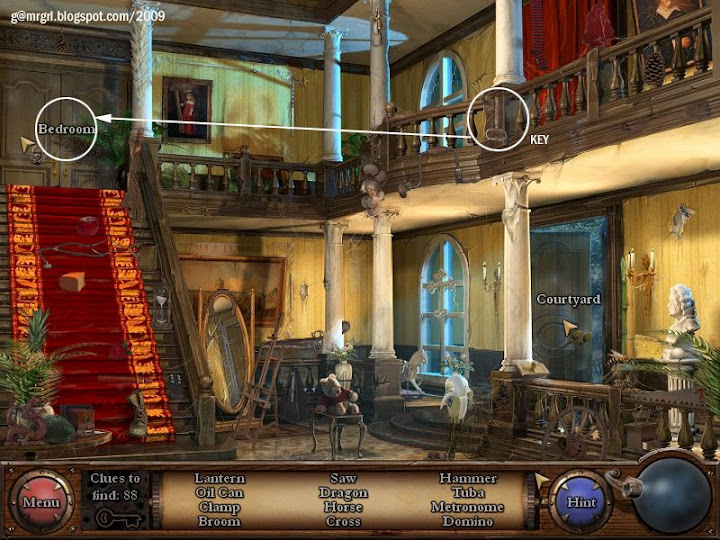 Click the key on the first floor banister, just above the first white column from the right. Solution: The nine buttons have to be pressed in sequence to highlight them all RED. Each button to be pressed must be in the same row / column and match the shape / colour of the previous pressed button. Hint: Start with the bottom blue square. It's too dark in the bedroom. Find the matchbox to light the candles. 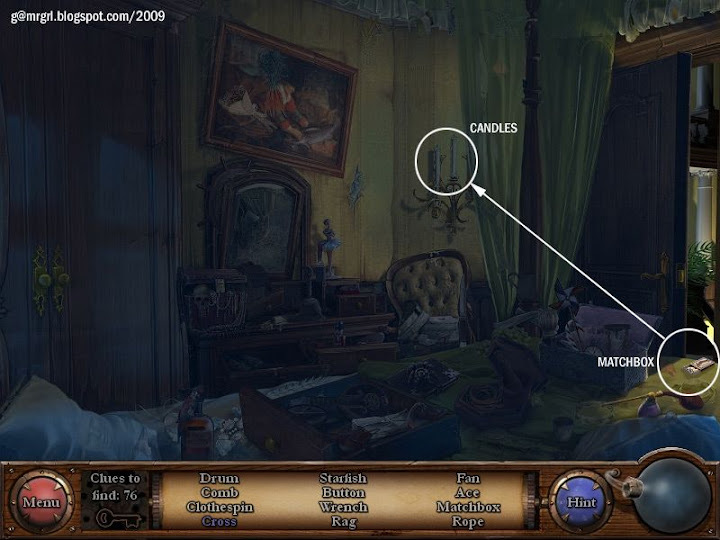 Click here for the screenshot of ALL items required to light candles. Click the matchbox on the bed at the bottom right of the screen. Click the candles to the left of the green curtains of the hall door. Now the room is searchable. Click here for the screenshot of ALL items required to open closet. Click the rag at the top right of the screen, against the curtain. Click the dirty mirror in the middle of the screen. Click the key in front of the candle stand, to the left of the curtains. 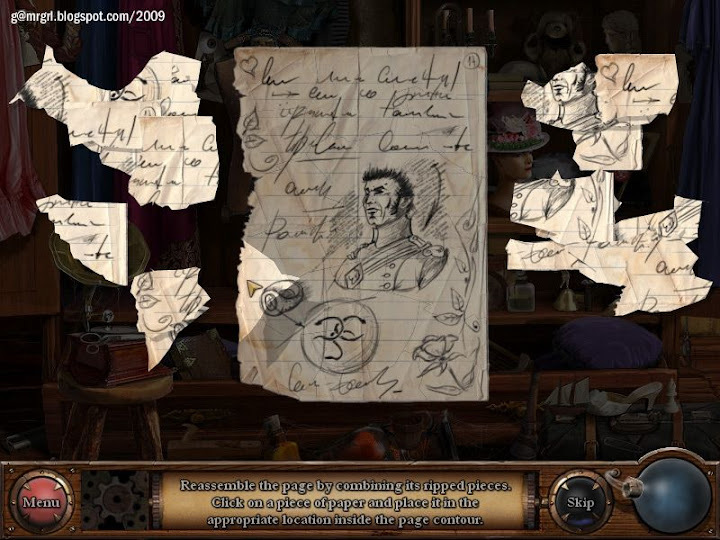 Click here for the screenshot of 10 of the paper scraps. Sorry about the rest - forgot to take the screenshot before clicking the objects! Solution: This is a jigsaw puzzle. The torn note has to be recreated. Click a piece of paper to select it and move it to its location within the note contour. The piece will snap to place if put correctly. Hint: Start with the corner pieces, then the edge pieces. Click the hall door to exit to the hall. Click the courtyard door to exit to the courtyard. 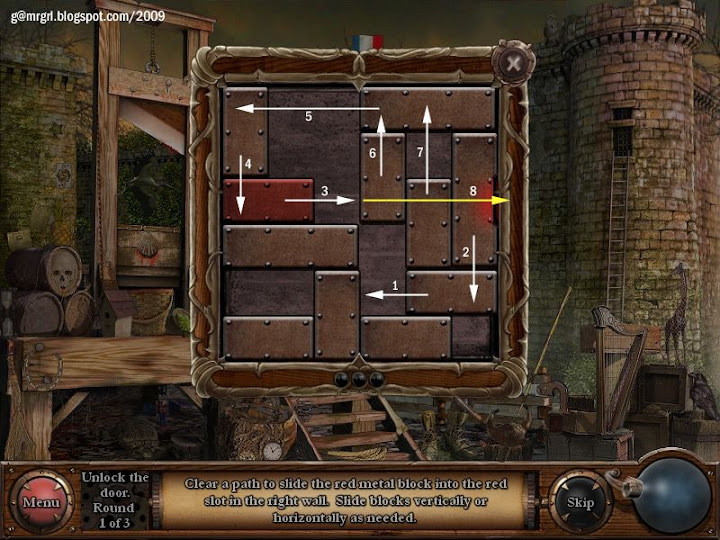 Click here for the screenshot of ALL items required to exit to the square. 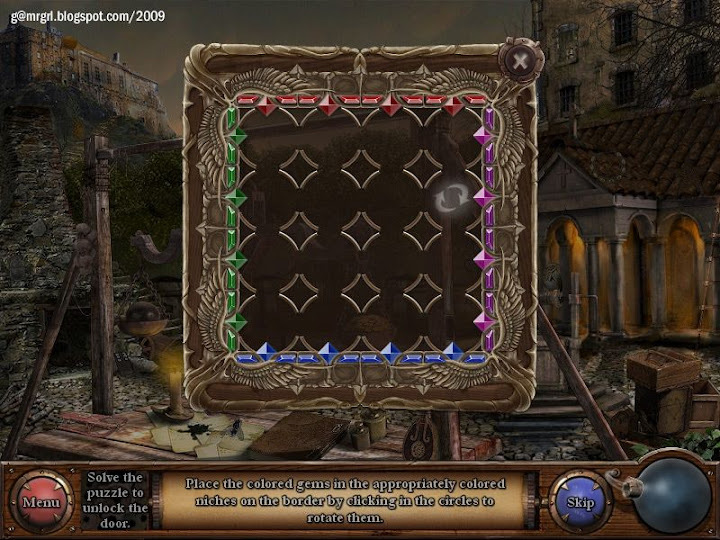 Click the gate to the square at the right of the screen. 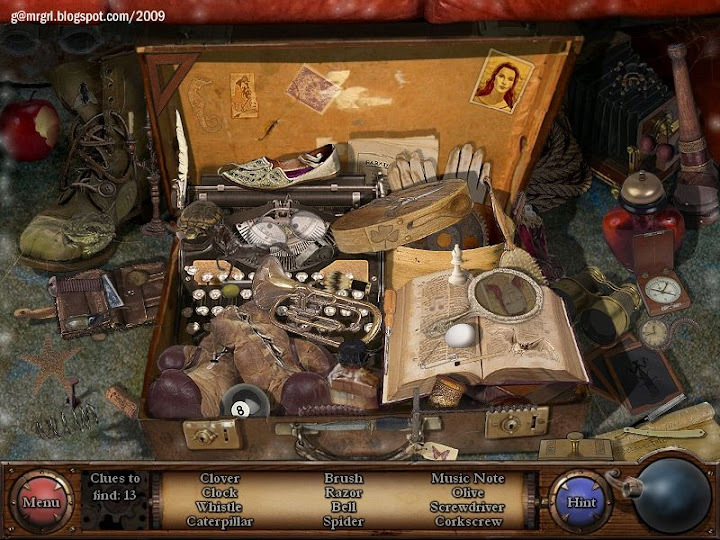 Click here for the screenshot of ALL items required to open suitcase. Click the suitcase on the floor of the stagecoach. Click here for the screenshot of the suitcase. Click here for the screenshot of ALL items required to enter the gendarme's office. 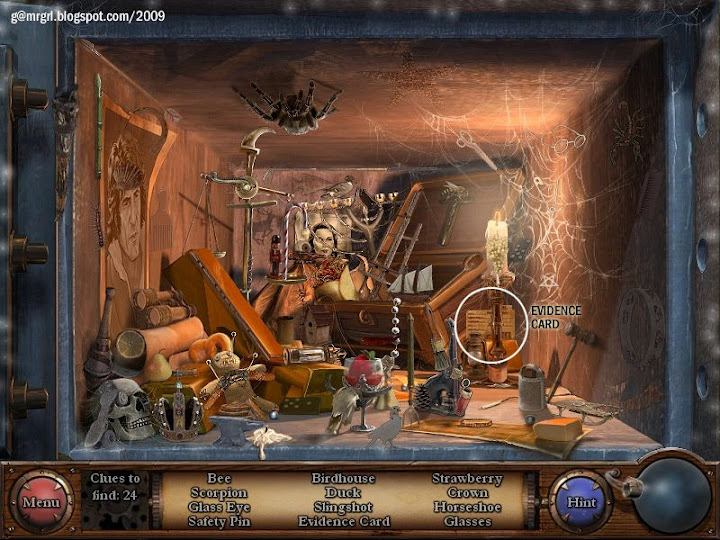 The spider keeps going up and down on its thread at the bottom right of the screen, below the wooden plank. Click when the spider is visible. 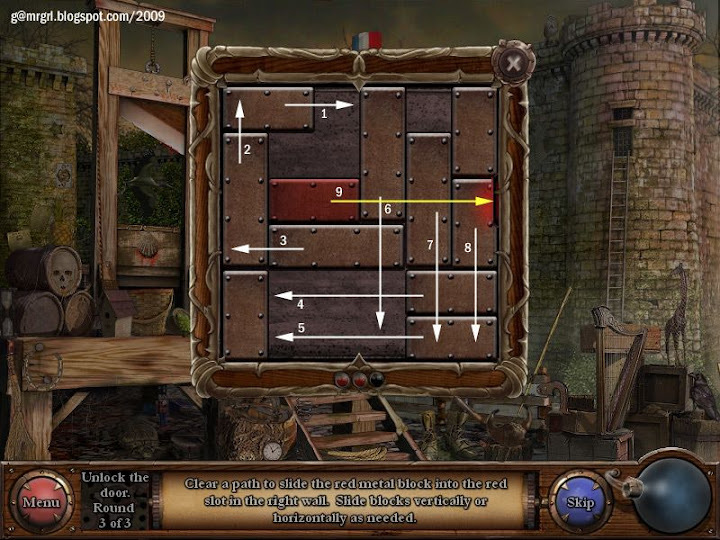 Click the ladder at the extreme left middle of the screen. Click the cell window on the turret at the right of the screen. Click the key at the top of the turret at the right of the screen. Click the gendarme's office door in the middle of the castle. Solution: This is a slider puzzle. The red block has to be slid into the red slot at the right. Move the blocks horizontally or vertically by clicking and dragging them till the path of the red block to the red slot is clear. Click to view the solution for slider puzzle 1 / puzzle 2 / puzzle 3. 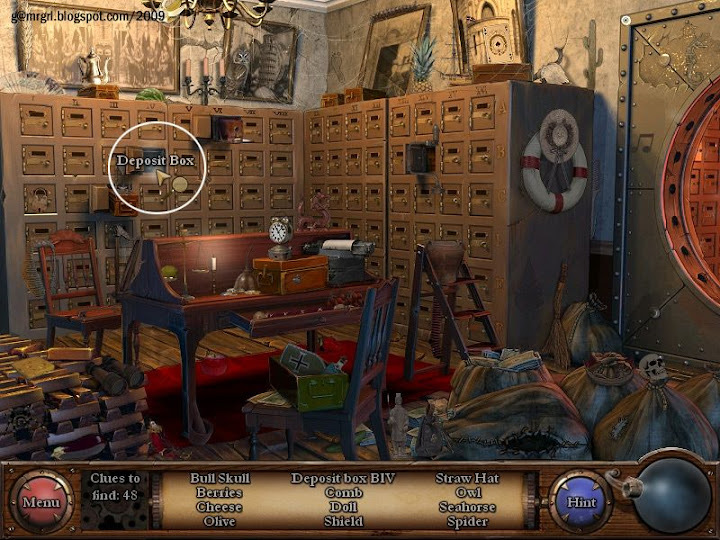 Click here for the screenshot of ALL items required to enter the evidence room. Click the bottle of ink at the extreme bottom right of the screen. Click the square yellow paper in the middle of the desk. Click the key in front of the left torch stand on the wall. 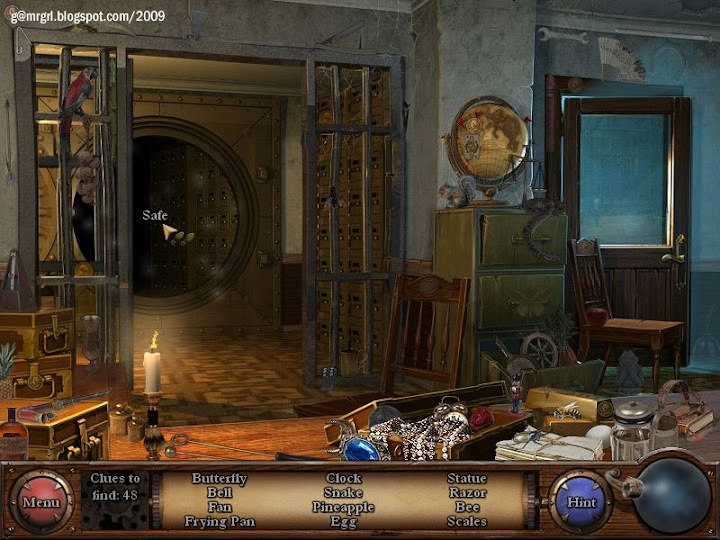 Click the barred door of the evidence room. Solution: This is a pipes puzzle. 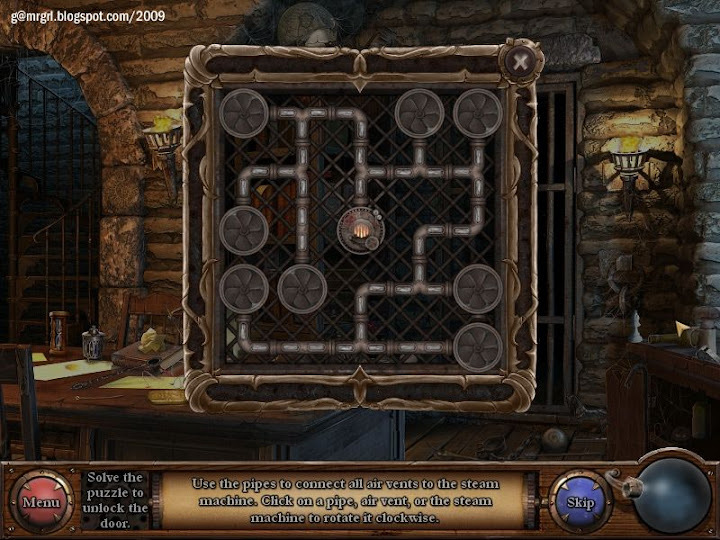 Click to rotate and align the pipes, steam machine, and vents so that all vents are connected to the machine. 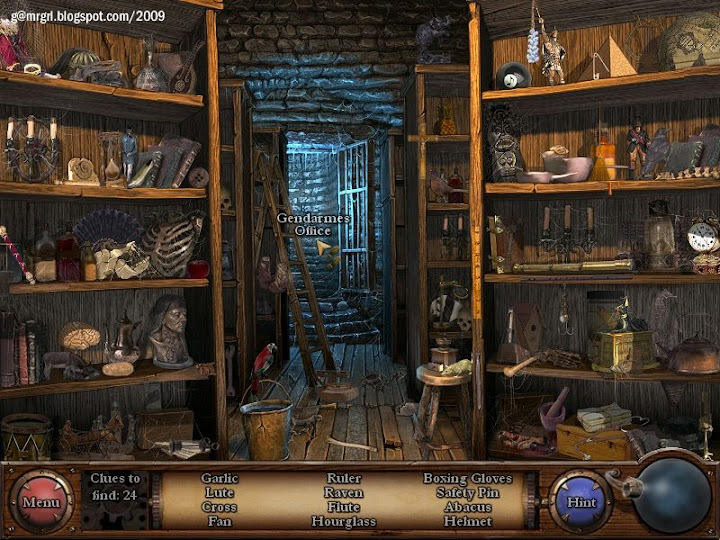 Click here for the screenshot of the evidence room. Click the gendarme's office door in the middle of the screen to exit. Click the execution square exit at the left of the screen to exit. 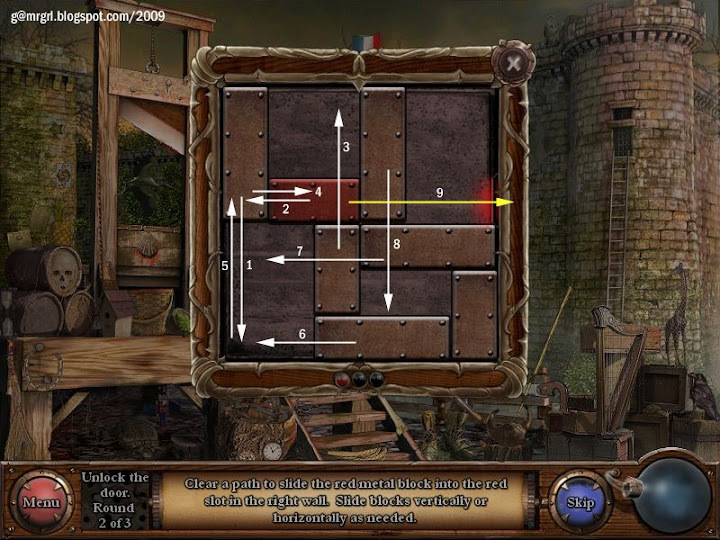 Click the cell window on the right turret of the castle. Click here for the screenshot of the cell. Click here for the screenshot of ALL items required to enter the bank. Click the stone on the step in front of the bank door at the right. 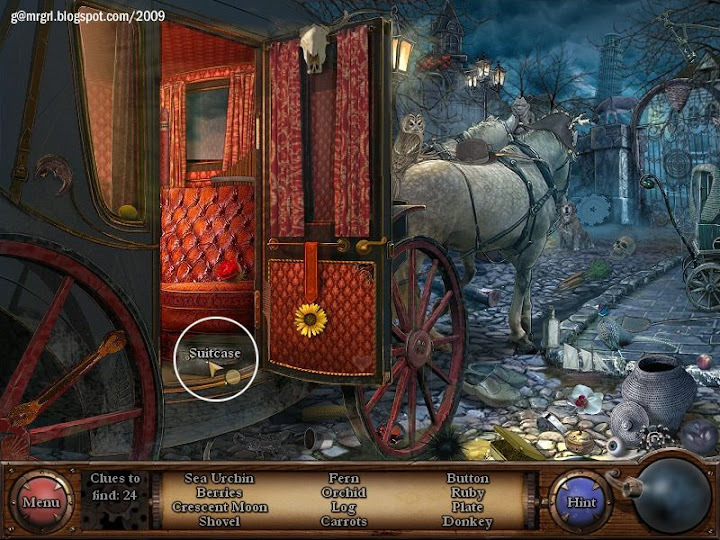 Click the broken window at the extreme left of the screen. Click the key in front of the first row of windows above the bank door. Click the door of the bank. Solution: The red gear at top left has to be connected to the green gear at bottom right using the yellow gears. Click a gear to select it and place it on a knob on the board. Gears need to touch a moving gear to move. All gears must be used. Hint: The red and the green gears each need a large gear placed next to them to move. Click here for the screenshot of ALL items required to enter the vault. 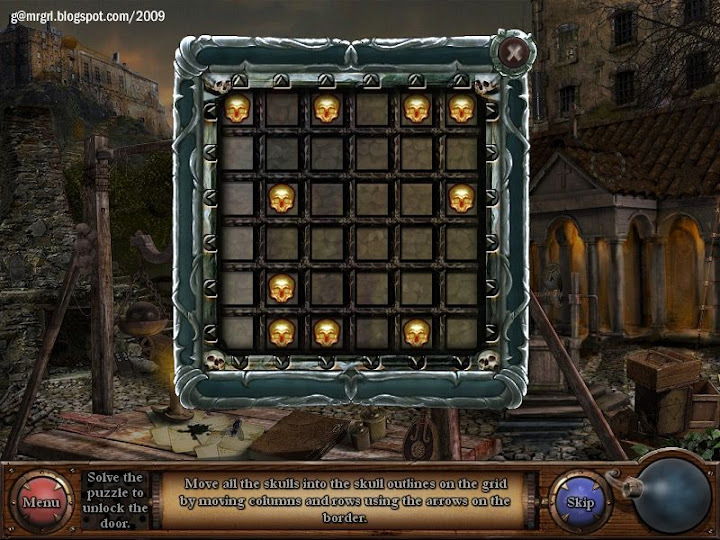 Click the hammer on the table at the bottom right of the screen. Click the piggy bank in the middle bottom of the screen. Click the key hidden in the back of the chair in the middle of the screen. Click the safe inside the vault. Solution: Use the up and down arrows to enter the safe code 4385 into the combination lock. There is nothing more to this puzzle. 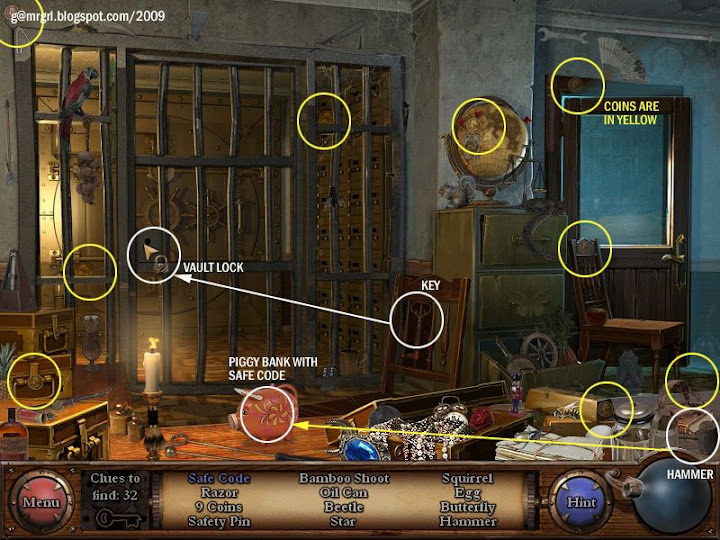 Click here for the screenshot of ALL items required from the safe. The book - a Bible - hid the murder weapon - a knife. 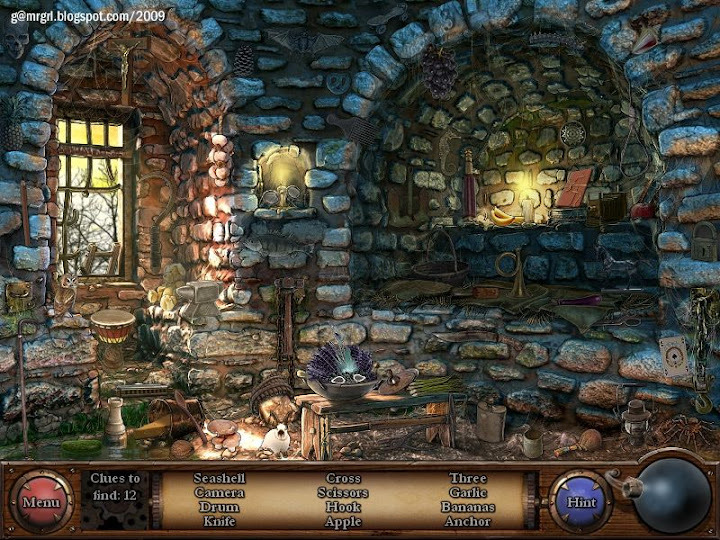 Click the knife in front of the candle stand between the two paintings on the top left wall. Click the second sack from right at the bottom right of the screen. Click here for the screenshot of ALL items required to extinguish the fire and enter the cemetery. Click the well handle at the extreme bottom left of the screen. 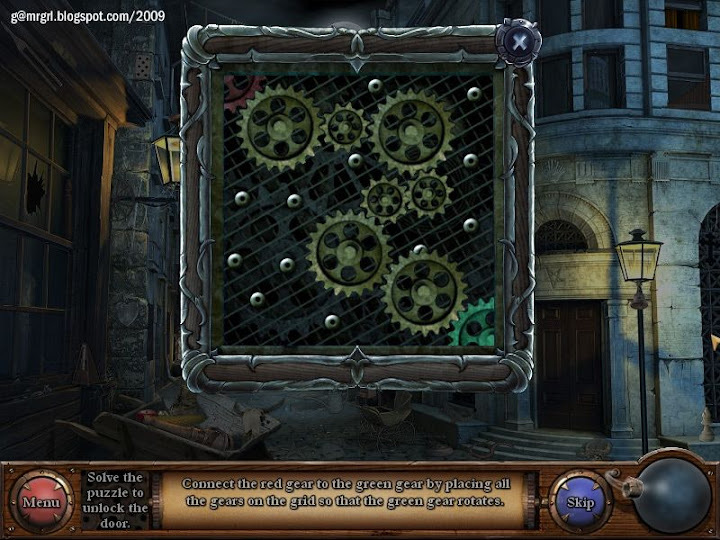 Click the right side of the well at the mid-right of the screen. Click the fire at the bottom left of the screen. Click the key at the top of the chimney, at the top left of the screen (visible once the fire is out). Click the cemetery gate at the middle of the screen. Solution: Use the arrows at the edges of the grid to move the skulls into the empty holes in the grid. The skulls glow red when they are in place. This puzzle has multiple solutions. Hint: First place rows / columns with single skulls as they are easy to navigate. Use blank rows / columns to break up groups of skulls into single skulls. 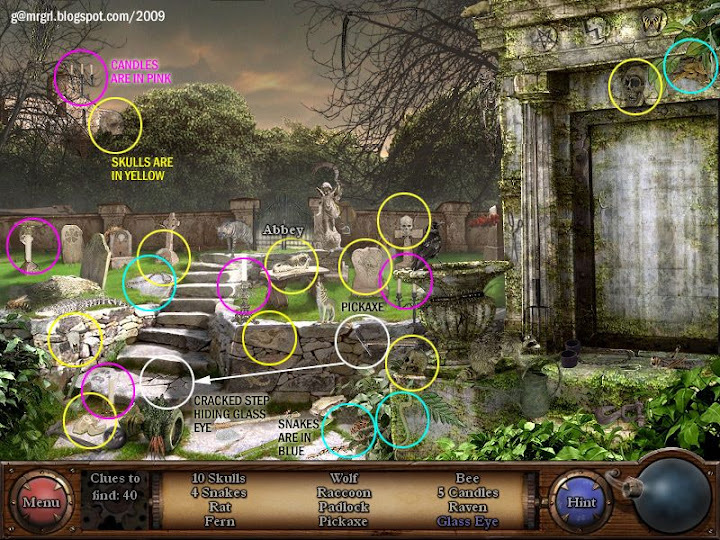 Click here for the screenshot of ALL items required to investigate the cemetery. Click the pick axe at the bottom middle of the screen, towards the right of the steps. Click the cracked step at the bottom right of the screen. Click the abbey gate in the middle of the screen. Click the cathedral at the right of the screen. Solution: Click the middle of each circle to rotate the circles. Each circle can 'pick up' a gem when it intersects another circle with a gem. The aim is the get all the green gems along the left wall, pink along the right, blue along the bottom and red along the top. Hint: Complete one colour at a time. 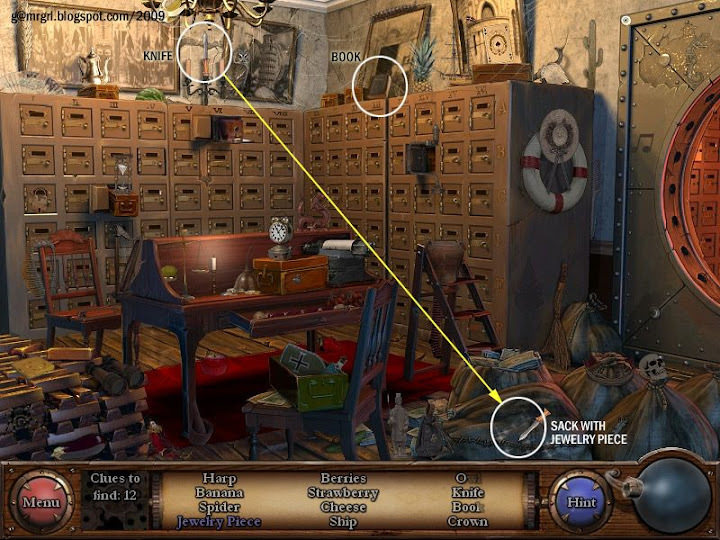 Click here for the screenshot of ALL items required to find the key. 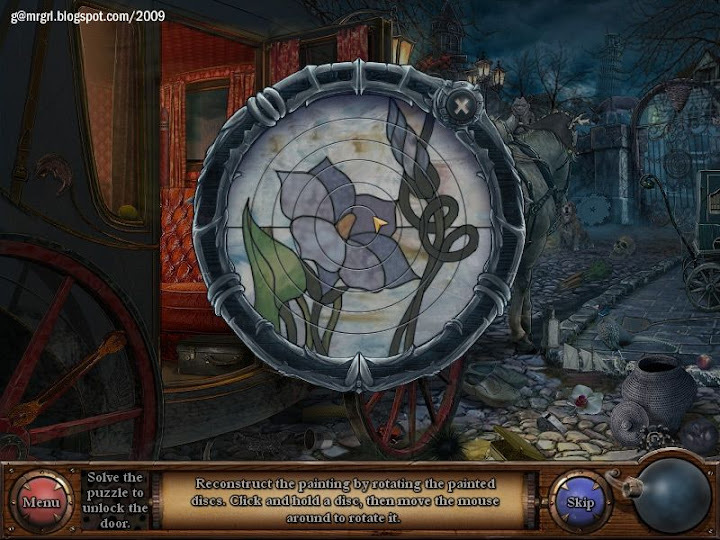 Click the cross at the top right of the large window at the left. Click the depression for the cross at the bottom right of the screen. It belongs to a deposit box in the bank at Notre Dame. Solution: This is a jigsaw. 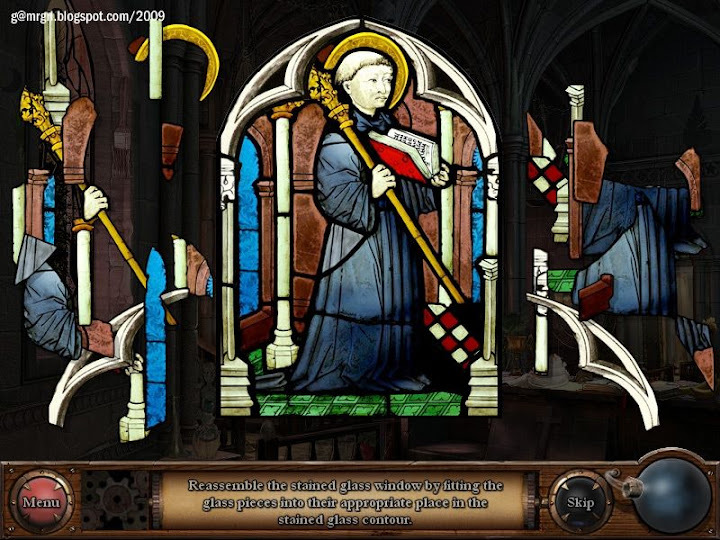 Click to select and move the pieces of stained glass and window parts to the outline of the window to recreate it. 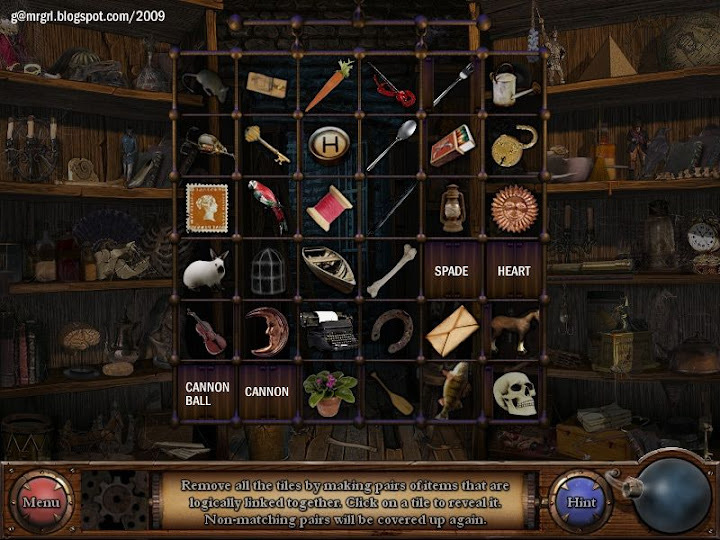 Click here for the screenshot of ALL items required to enter the safe. Click the safe, at the middle left of the room, to enter. Click here for the screenshot of ALL items required to find the deposit box. Click deposit box B-IV using the numbering of rows and columns. The rows are number A - F, from top to bottom. The columns are numbered I - XVI from left to right. Click deposit box B-IV again. 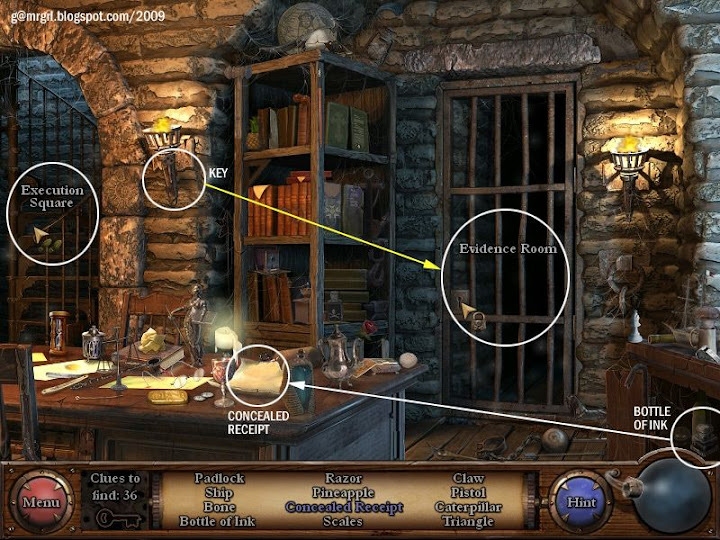 Click here for the screenshot of ALL items required to find the evidence card. 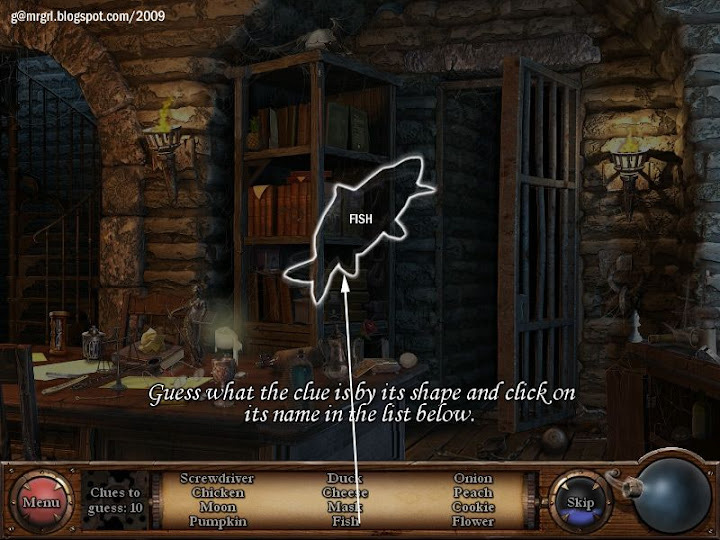 Click the evidence card at the right of the screen, behind the candle stand, to the left of the spiderweb. Click the door of the safe at the extreme right to exit. Click the door to the square at the right to exit. Solution: The object's name has to be guessed from its shape and the list of items given in the bottom panel. There are 12 objects to guess. The objects are randomly displayed. Click to view sample solutions: shape 1 / shape 2 / shape 3 / shape 4 / shape 5 / shape 6. Click the evidence room door to enter. 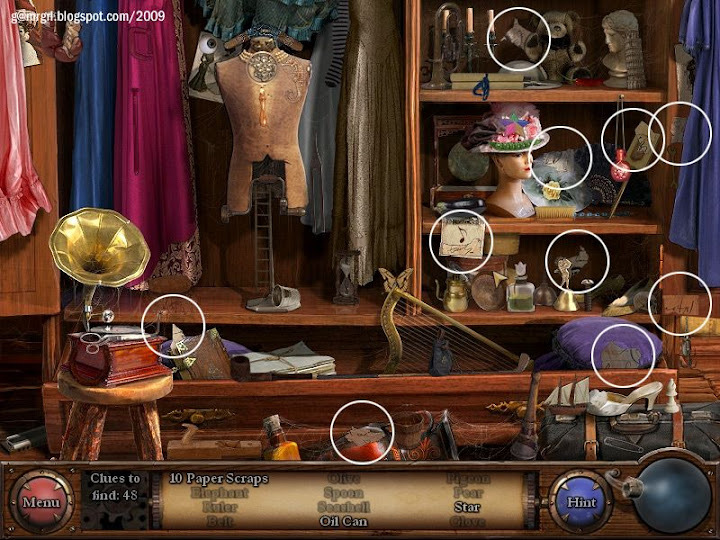 Click here for the screenshot of ALL items required to find the evidence. 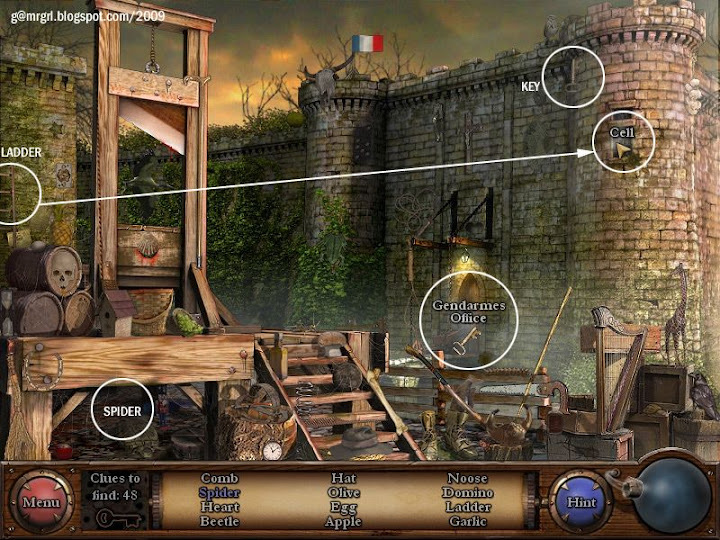 Click the crowbar on the right-side frame of the door to the gendarme's office, in the middle of the screen. Click the loose floorboard at the middle bottom of the screen. Click the dagger - the murder weapon! Solution: Pairs of linked objects have to be matched. Click to open the squares. Click the gendarme's office door to exit. Click the execution square door at the left to exit. Click the cell window on the right side turret to exit. 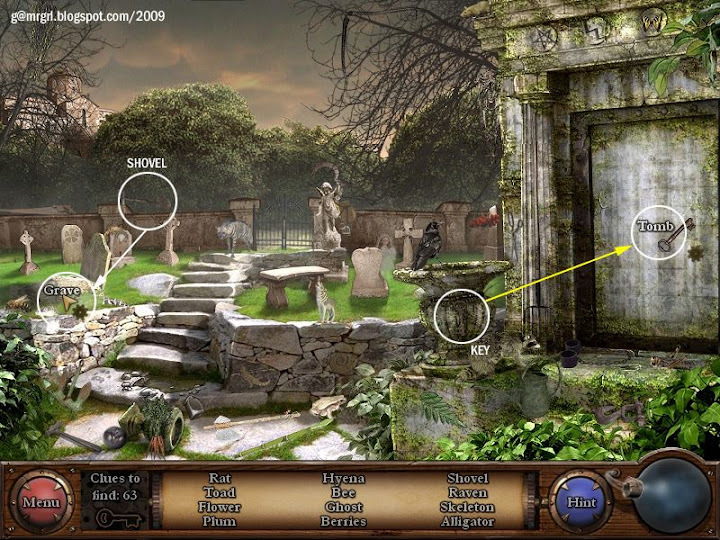 Click here for the screenshot of ALL items required to open the tomb and dig the grave. 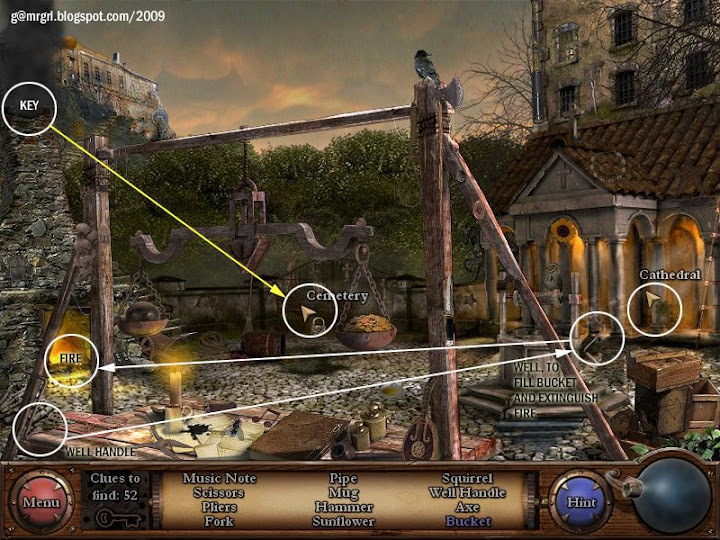 Click the key hidden in front of the stone birdbath in the middle bottom of the screen. Click to tomb door at the right to open it. 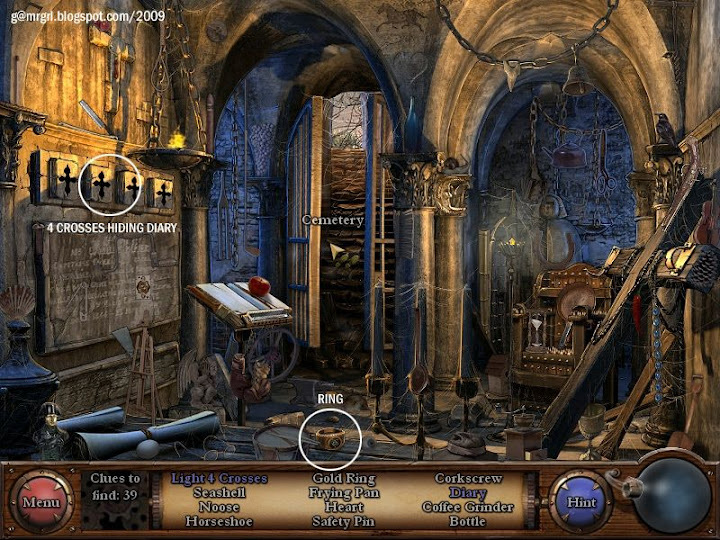 Click the shovel lying on the wall of the cemetery at the left middle of the screen, to the left of the abbey gate. 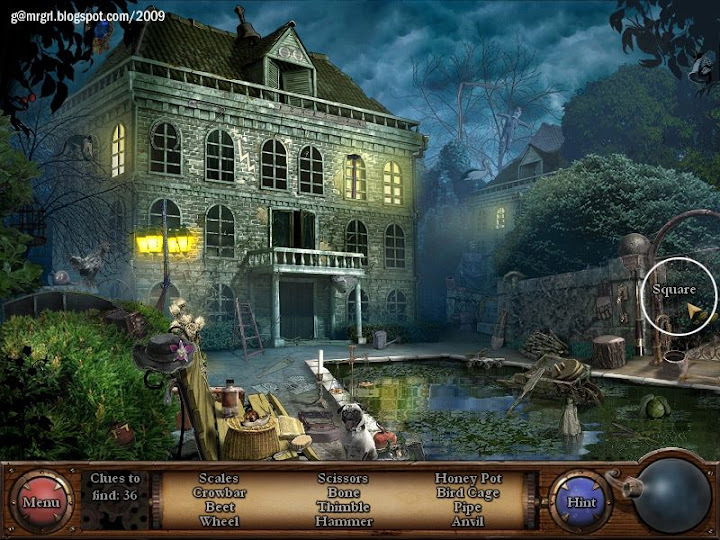 Click the grave at the bottom left of the screen, to the left of the steps. Click the grave to examine it. 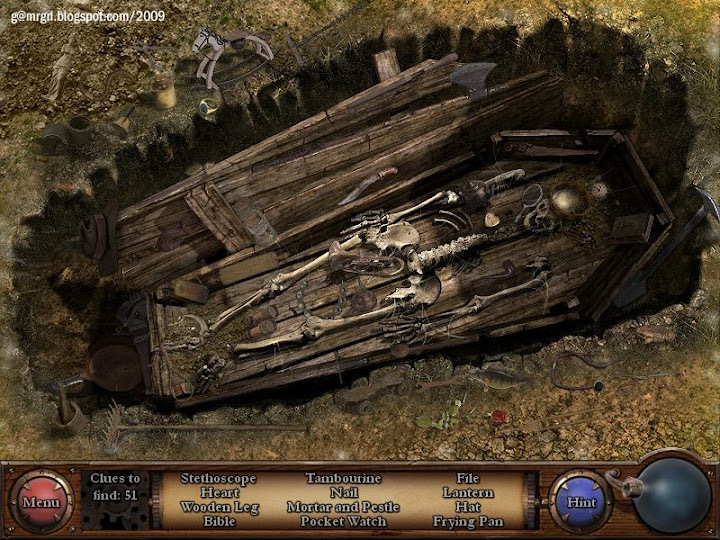 Click here for the screenshot of the grave. Click the tomb door to enter. Solution: Click and press the question mark at the top left to see the pattern to be copied. Clicking one of the three central circles rotates the six circles around it. The three sets have to be rotated in turn to 'drop' and 'pick up' the coloured circles till the pattern is copied. Hint: Get the greens to their position first, then the red, then the blue. 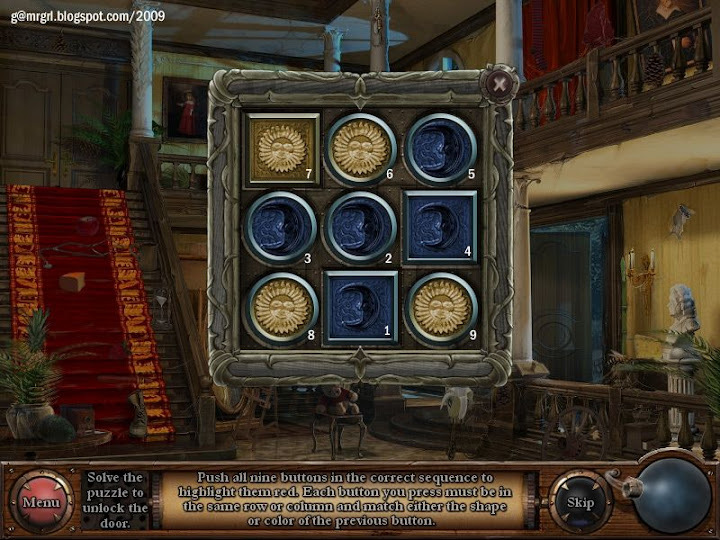 Click here to view the puzzle screen. 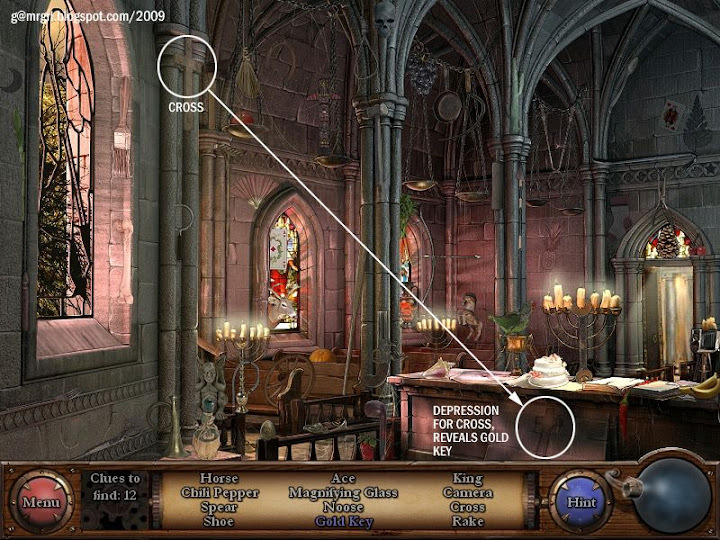 Click here for the screenshot of ALL items required to light the crosses. Click the gold ring on the floor in the middle of the screen. The 4 crosses to be lit are lined along the left middle of the screen. To light the 4 crosses: if the crosses are labelled 1, 2, 3, 4 from left to right, press 1, then 4. Click the cemetery door to exit to the cemetery. Click the abbey gate to exit to the abbey. Click the cathedral door at the extreme right to exit.